Recently submissions were being welcomed by the publishers of this excellent collection of books about music sub-titled 33 1/3 (Continuum Press). The series was simple: take an entire album from the pop genre and write about it in any style you like. One of the best was by our own Kevin Courrier called Captain Beefheart's Trout Mask Replica (2007). I was enamored by the series and its love of music and good story telling. As I read more of them, I knew that I could write one too; and so, when the opportunity presented itself, I submitted a proposal for Genesis's The Lamb Lies Down on Broadway in April, only to be turned down in May. The next logical place for publication was here in Critics at Large. Below is the draft introduction to my book proposal. On November 7, 2006, a press conference was called featuring Tony Banks, Phil Collins and Mike Rutherford. It was to announce a reunion of Genesis, one of the most successful bands in music history. The press conference was packed with mostly European journalists all eager to find out more about the reunion and why the three members, now in their mid-50s, were going on tour. Phil Collins wryly responded to the question, “It’s not a tour as such, but a selected series of concerts.” The audience laughed at the notion, as Collins and his band mates unveiled the “Turn It on Again” tour that was about to begin on June 11, 2007. 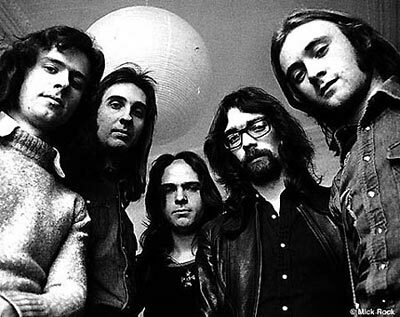 During the question and answer period that followed, Tony Banks mentioned, almost casually, that the group originally considered re-mounting their famous tour of 1973/74, of The Lamb Lies Down On Broadway, featuring Peter Gabriel. His offhand comment caught the scribes gathered by surprise. After all, Gabriel left the band immediately after that fateful tour ending a personal and musical partnership that was ten years old. In terms of the flightiness of rock & roll, though, ten years is a relatively long time. Strangely, the press didn't follow up on the answer, even though Banks said that Gabriel had considered the idea, but declined to follow through. 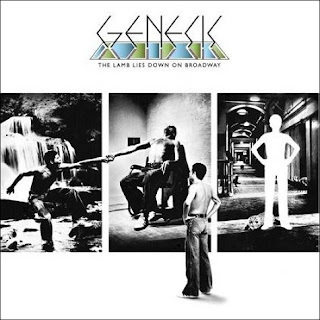 To anyone who knew the history of Genesis, The Lamb Lies Down On Broadway was not only the most important progressive rock album in history, at least to its fans, but its production and tour was the catalyst that made Gabriel leave the group in the first place. Why would he want to re-unite and tour this difficult album, 34 years later? To the listeners watching this conference online and around the world, the very idea that Gabriel would re-join Genesis and remount one of the most notorious shows in the band’s history had eyebrows raising. Gabriel had left the band in 1974 under mysterious circumstances just at the time the band was to breakthrough in North America. He even released a full-page “letter to fans” in the leading British music publication, Melody Maker explaining his departure. By 1977, with the release of his first solo album, it could be said that Gabriel went out of his way to distance himself from the group and the colourful characters he played in concert. On the other hand, the covers of his first four eponymous solo records are also altered images of Gabriel’s face: hidden from full view either in the front seat of a car, or distorted as seen on his fourth album. Was he still hiding behind a mask? The Lamb Lies Down On Broadway is no ordinary work. It’s more a culmination of Genesis’s own mystical and redemptive journey through music and performance. Historically it came out at a time when the “rock opera” was the mainstay of progressive rock, a term used to describe music of grandeur with a large dose of theatricality. Led by Peter Gabriel, this British “progressive rock” band had made its mark with eclectic compositions and elaborate theatrical stage presentations. The Who's Tommy, released in 1969, was the recording most often cited as the definitive rock opera (Andrew Lloyd Webber notwithstanding). But in 1974, when Genesis released The Lamb, the rock opera was a generally accepted musical format. But that’s where the similarities end, for The Lamb is more than just a “rock opera”: it’s a contemporary study about the loss of identity and the journey made by its lead character Rael to recover it. For Genesis, The Lamb Lies Down on Broadway drew to a conclusion the group’s work with Peter Gabriel, the lead singer and front-man for the band since 1969. His controversial departure, just when the band was enjoying incredible success in America, is the stuff of legend. The group had six very successful and musically interesting albums under its collective belt by that time. Some people said Gabriel had been suffering exhaustion; others said it was musical differences with the band. This book seeks to understand how The Lamb both mirrored and traced Gabriel’s paradoxical journey. Musically speaking, The Lamb Lies Down On Broadway is the consummate Genesis album. Every record that preceded it pointed the way to this highly conceptual idea about Rael, a half Puerto Rican juvenile delinquent from New York driven underground to face eminent danger. He sets out to rescue his brother only the brother turns out to be actually the other part of his split personality. It was the first two-record set in the band's history and it came out when record companies weren't afraid to indulge their clients. 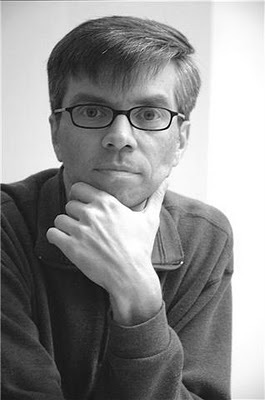 What makes this album stand out is the use of New York City as the backdrop to Rael's story, who in the words of Gabriel, “crawls out of the subways of New York and is sucked into the wool [lamb] to regain consciousness underground.” During the tour, to no one's surprise, Gabriel played the part of Rael. (Rael is even a play on Gabriel's surname.) The performance and presentation of the The Lamb on stage was a critical success. Many fans of Genesis consider it the peak of the band's musical theatrical powers and a concept album beyond all concept albums. But the record goes further and even deeper than the usual Lewis Carroll fairytale. In no small way, it ambitiously employs popular forms of music: Music Hall and Theatre of the Absurd; Performance Art and Mythology with a dash of John Bunyan’s The Pilgrim’s Process; and a nod to Vaudeville and Tin Pan Alley. The music is full of Biblical and pop cultural references, but wrapped with a slightly cryptic story by Gabriel in the liner notes. To fans of prog rock, it was the complete package. The Lamb featured a complex story, which invoked through a lucrative concert presentation, illustrious costumes, slide images and big lights presented to fascinate, titillate and entertain in the biggest way possible. 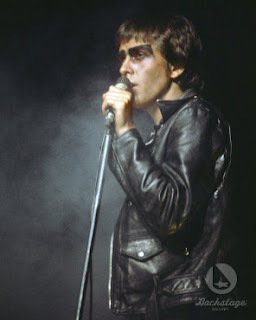 It was also Peter Gabriel’s most personal foray into the ideas of psychologist Carl Jung, where “a lot of my focus in Genesis had been on journeys into the psyche.”(Most of the song's ideas came directly out of Peter Gabriel's dreams.) The nature of duality is imaginatively explored on The Lamb, making the story dense, yet riveting upon first listen. But by unveiling the layers of the album, its lyrics and musical roots, we come to understand what the band was trying most to achieve as a theatrical and conceptual group; and why The Lamb Lies Down On Broadway remains one of the most beloved in the genre of progressive rock. I think that Gabriel may have used Rael as a nod to Pete Townshend's earlier concept. "I submitted a proposal for Genesis's The Lamb Lies Down on Broadway in April, only to be turned down in May." All-too-predictable anti-prog snobbery, while overrated manure such as Beefheart, always a darling of hipster rock critics, of course makes the cut. Sickening.